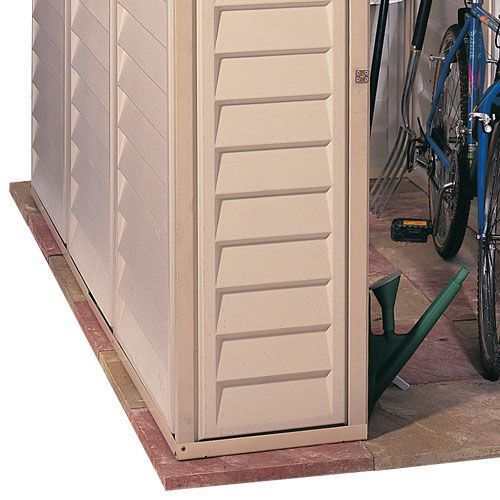 The Sidemate storage solution shed from Duramax is a great way of utilising minimum space for storing any outdoor equipment you may have. Good. Easy construction, fits together well. Seems very sturdy and stores all my things! Thanks! 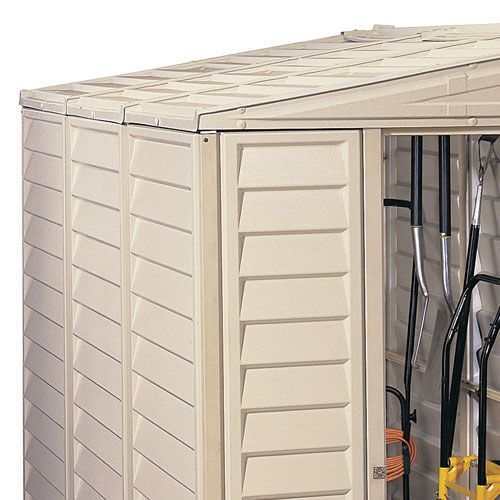 The Sidemate storage solution shed from Duramax is a great way of utilising minimum space for storing any outdoor equipment you may have. 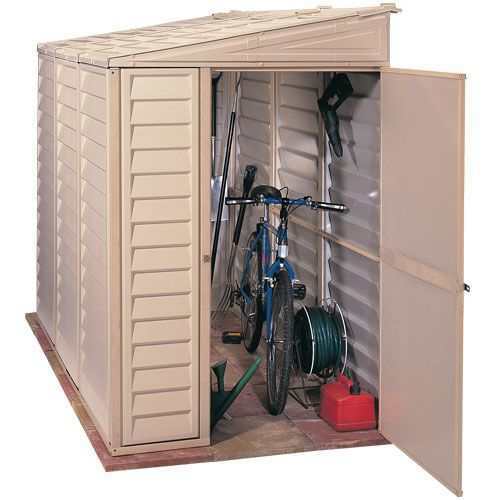 Perfect for bikes, lawn mowers, bbq's and general garden tools it's steel enforced vinyl clad construction is covered by Duramaxs' own 15 year manufacturers warrenty. 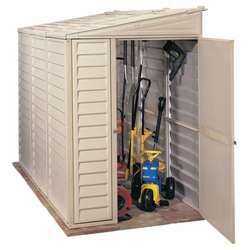 This Duramax Sidemate shed comes with vinyl clad walls, single door and roofing. The framing is made of strong painted steel and it also comes with heavy duty 'u' channel painted steel base rails. The assembly of the Sidemate is straightforward as it comes with clear and easy to follow instructionsto aid you. The wall cladding is produced in a pleasing ‘ship lap’ style and the doors are pre-assembled at the factory, they simply hook onto the hinge pins ready mounted onto the door jambs.